A brilliant reworking of William Shakespeare’s King Lear for our day. 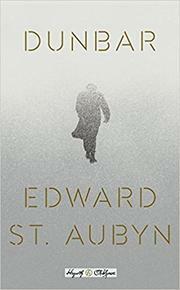 Henry Dunbar, bearing a proud Scottish name and lamenting declining fortunes and capacities, may or may not be “more sinn’d against than sinning.” At the outset of St. Aubyn’s (A Clue to the Exit, 2015, etc.) retelling, shuffling the order of the play, Lear is in a pricey English sanitarium, fuming that his hydra-headed business has been wrested from him: “They stole my empire and now they send me stinking lilies,” he howls, with no one but a fool named Peter to listen to him. Peter reminds him sympathetically, singsong, that he might as well cheer up, since the next step is the narrow grave: “How lightly we have tripped down those stairs, like Fred Astaires, twirling a scythe instead of a cane!” As in the original play, Dunbar is a sputtering font of righteous rage, indignant that daughters Abby and Megan have outmaneuvered him, incapable of separating out his “good” daughter, Florence, from all those he reckons have done him wrong; Florence, meanwhile, compounds his wrath by gladly living on her own out in the wilds of Wyoming, cut out of profits and out of the will. There’s but one thing to do, Dunbar decides, and that’s to bust out of psychiatric prison, go off the meds, and range the moorlands to work out a horrific realization: “there was no one else to blame for the treachery of everything; the horror, in the end, the horror was the way his mind worked.” St. Aubyn uses the play as a guide more than a template at points, but the basic truth remains that the best of Shakespeare stands up readily to adaptation in every age, from West Side Story to Ran and Scotland, PA. St. Aubyn’s recasting to make someone reminiscent of Rupert Murdoch at times, and perhaps Donald Trump at others, brings the Bard gracefully into our own day. A superb, assured reminder that as flies to wanton boys are we to the gods—and that ain’t good.